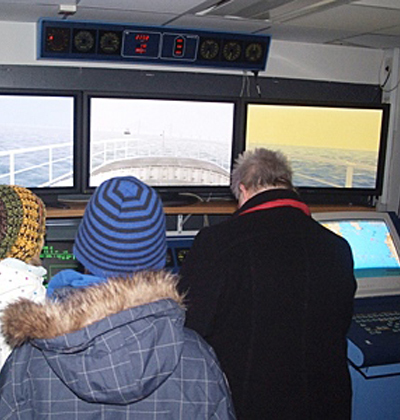 Kalmar Maritime Academy’s simulator at Researchers’ Night in Kalmar. There are many different types of simulators that can be interesting to use in research communication contexts. Many visitors will not have tried a simulator before. The challenge may, however, be finding equipment to borrow and transporting it to an appropriate location. Examples include navigation and flight simulators. Target group: Suitable for young people, but adults usually appreciate simulators as well. Preparations: Appoint someone who can run the activity. Decide on a venue and format. Organise one or more suitable simulators. Market the activity. Transport the simulator to an appropriate location. Challenges: Finding a simulator and transporting it to an appropriate location. Benefits: Usually attracts many visitors. Easy to start a conversation on research related to the activity being simulated and about simulator development.